Co-Optimus - News - Lost Planet 2 Demo Coming "Soon"
Soon is such a vague word. "When are you coming over?" Soon. When will the PlayStation 3 get a price cut? Soon. When can I be the most awesomest person in the whole world? Soon. 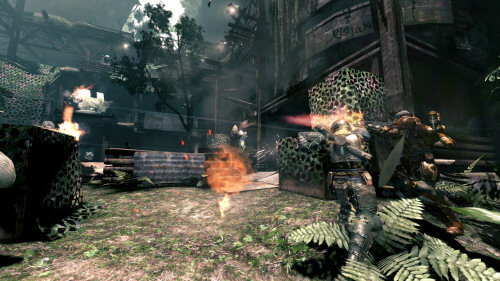 Soon is when the Xbox 360 will be getting the four player cooperative demo for Lost Planet 2, at least according to Joystiq. The demo is apparently complete and was played at a recent event for Japanese gaming magazine Famitsu as well as E3 2009. With the game a few months from release, it would seem to be an odd time to release the demo this early - still - we aren't going to complain.